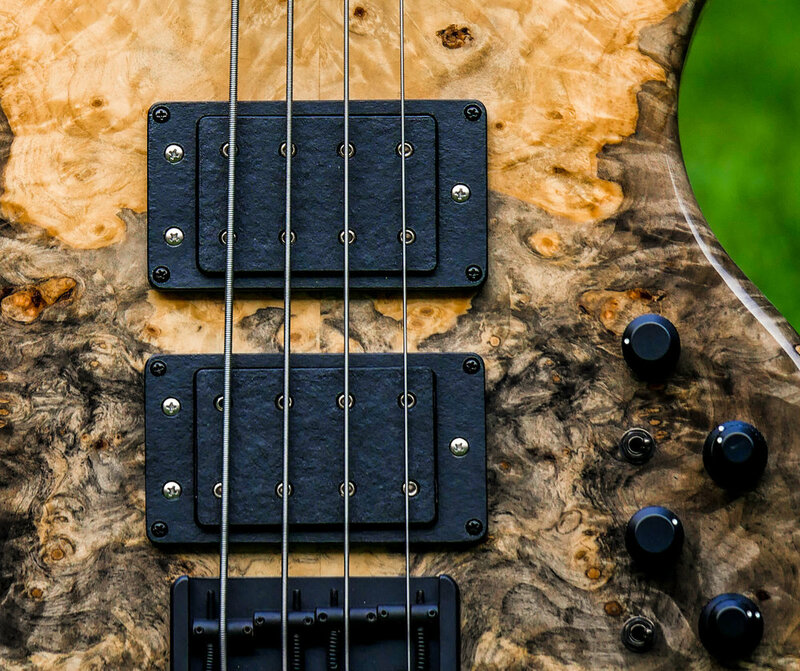 A bass can only sound as good as the pickups it has in it. We tried all the brands and then decided we want our own pickups. In 2000 we developed the exclusive Hot Wire pickups in cooperation with Bassculture and various bass players. They have become hot stacked humbuckers, in a single-coil format with high output, but totally shielded and shed. These pickups deliver the typical jazz sound, but without disturbing background noise. These passive pickups pick up everthing the player gets out of the instrument. They also work great with active electronics. You will appreciate it when recording at the computer with the bass, working in the studio, or playing on a stage with lots of lighting. 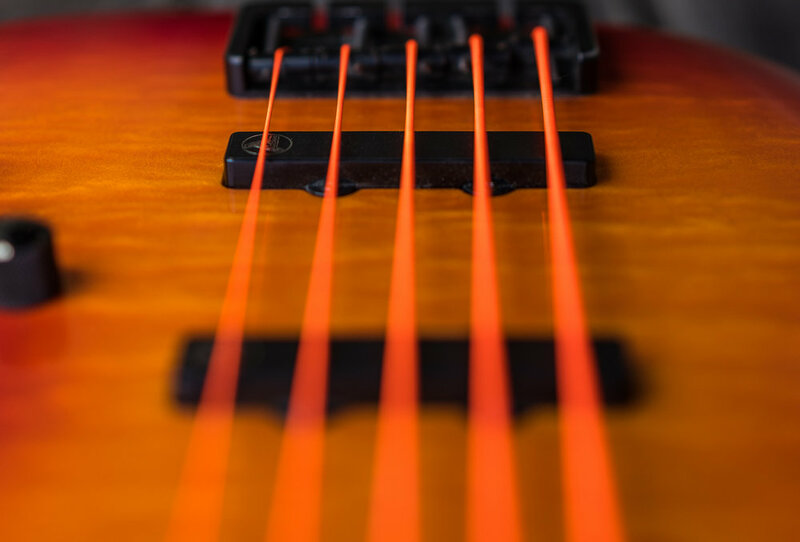 HotWire Stacked Pickups fit any four- or five-string bass with single-coil pickup routings. We are also happy to make them to order and sell them separately. HotWire pickups upgrade every bass and can be ordered directly from us. On request, we also install them. Also very popular is the Pee-Jay combination - so you have the best of both worlds: the fat rock sound, a crisp slap sound, and an excellent walking / jaco jazz tone! For a richer Jay sound we use our soapbar. This humbucker can also be switched to "single-coil". The closed pickup caps eliminate annoying finger noise. We make the Hot Wire MM for four- and five-string and are based on the MM sound of the late 1970s. It fits in well with our P and Jay customers, and comes to its peak when combined with one of our EAST MM electronics. The MM plus P combination with fat magnets for an über-MM sound is available for four- and five-string, and it can get quite nasty if need be! For maximum punch and versatile sound, the Hotwire Funderbucker is a soapbar with split-coil function. We designed this pickup for our Funderbird Bass, but it fits into other models as well! Sounds like a great bass in the single coil setting, choose the neck pickup and turn on the humbucker position, then it sounds rocky with lots of power and pressure - and all that in passive mode! For the full "boutique bass experience" we can also make special wooden pickup covers. Made of the same wood as the neck, or painted in the same color as the body. We can also make pickups in a special size if needed. Then there is our MOTHERBUCKER ...! Since jazz basses have "sixties" and "seventies" pickup positions, we thought it would be cool to have both options in one bass. This pickup has the soapbar size and was first used in our Flash model, now in our Inlaw bass. We can install the MB in every bass. Here with fully cast coils in wooden caps. The motherbucker pickup has two stacked jazz coils in one cover, and a mini three way switch to switch from 60s "Jaco" to 70ies "Marcus" and have an extra fat tone when both coils are in operation! The neck pickup has the same possibilities, i. E. two different jazz-neck sounds, and when they're together, a fat P-sound! 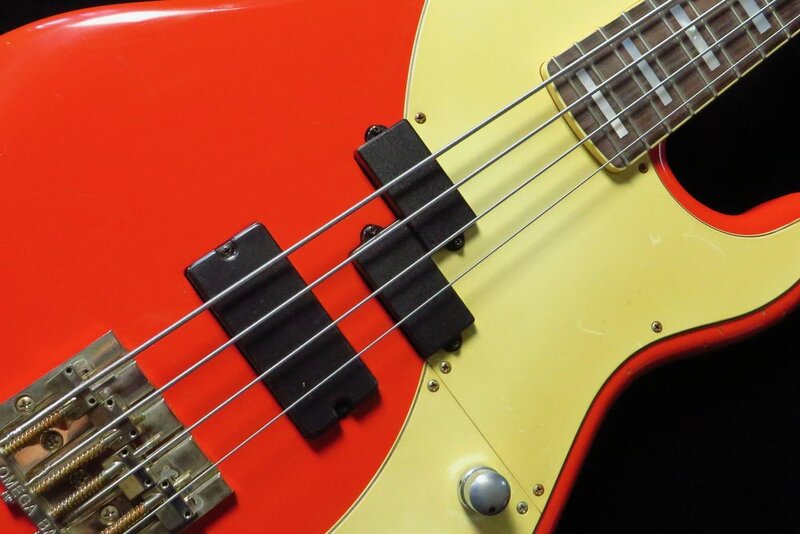 Both pickups together provide access to many nuances - so you can offer all the variations of vintage bass sounds! The repair of a defective Wal pickup brought us the W-BUCKER! W like "wild" because it has a wild sound and output! Looks dangerous too! We prefer to build it into our INLAW models, but also manufacture it individually or in a set. When ordering, the string spacing must be specified. Optionally available as a dual-coil or multi-coil with two round coils per string. Here you See the W-Bucker as a multi-coil in an MM housing. So it fits into a MusicMan bass as well. Our W-Bucker, Soapbar and MM pickups can also be wired as a split coil. These pickups are always shipped with four wires plus ground wire. This means that you can use a push-pull pot or a mini switch for different wirings and thus different sounds. Possible are e.g. Humbucker / single coil and serial-parallel options. Here's the W-Bucker in a Hot Wire six-string. With the spilt-coil and serial-parallel positions one has access to so many sound possibilities, one pickup can be enough. If you need a lot of room when slapping, you could also consider our Halfbucker. As the name implies, a half W-bucker, but split-coil and therefore a low-noise humbucker. For the absolute vintage sound we also make true vintage single coils with the official wire and the official magnets. That sounds like it has to be: vintage. The PREZZ stands for the real rock bass sound! The sound is reminiscent of the good, old, meanwhile priceless 1957 originals. We use ceramic magnets on steel poles, and wind 0.056 wire to 7kohm per coil. Available for four-string, five-string, and six-string. We made a dedicated pickup for our blues bass, a single-coil in a tele-cap, fully shielded. It delivers an authentic upright sound. We always like to make special orders! Here we have integrated the W-Bucker into a long-ramp. Together with our customers, we always come back to interesting detail solutions. Order HotWire Pickups in our online shop!